Looking to evoke memories of summer campfires, Dunkin' Donuts will introduce new S'mores-flavored coffees, as well as two new donuts, starting Monday, May 29, 2017. 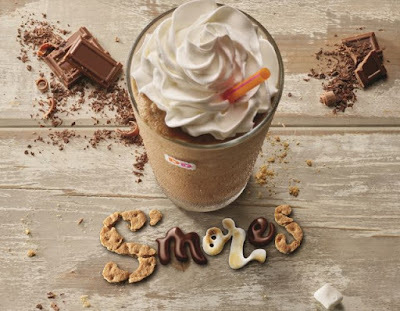 The new S'mores option features the flavor of graham cracker, toasted marshmallow, and chocolate and can be added to hot or iced coffees, lattes, macchiatos, and Frozen Dunkin' Coffee throughout the summer at participating locations nationwide. Also new are the Vanilla Cake Batter Donut and the Dunkin' Donuts Sprinkles Donut. The Vanilla Cake Batter Donut is a yeast shell donut with a vanilla-flavored cake batter filling, frosted with chocolate icing and topped with confetti sprinkles. 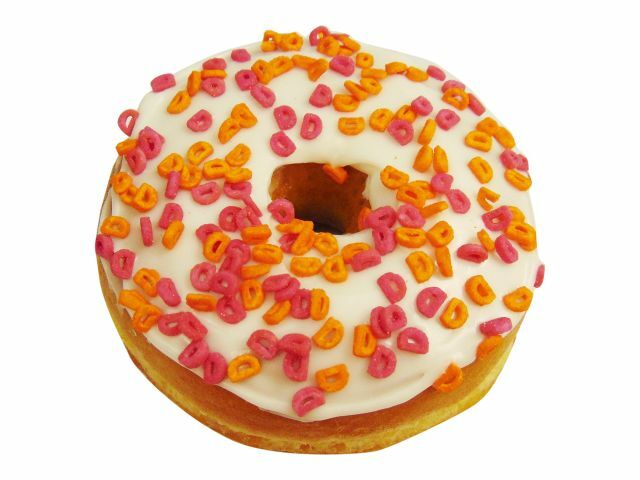 The Dunkin' Donuts Sprinkles Donut consists of a yeast ring donut with white icing and pink and orange sprinkles shaped like the chain's "DD" logo.